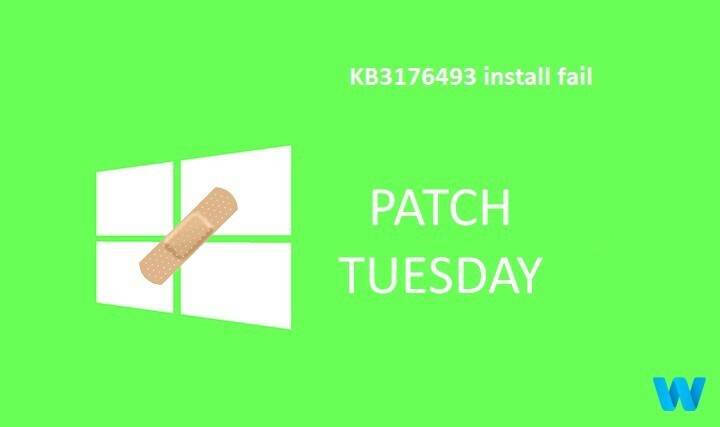 Microsoft pushed three cumulative updates on Patch Tuesday, but it appears that installing KB3176493 is really an impossible mission for Windows 10 users. This update brings reliability improvements, bug fixes, and security patches, so installing it is a must if you want to better protect your system against threats. Unfortunately, thousands of users haven’t been able to install KB3176493 because the installation process suddenly stops. The bad news is that apparently there is no fix for this bug, as users confirm they’ve already tried all the workarounds they could find on the mighty internet. I have tried all the methods I can find online but this update still wont install. Since this has been happening my computer is taking 15 min to start up because it is constantly trying to install the update and failing. I know I cant turn off auto updates but this is getting ridiculous. I have even set a specific date to attempt the install and the update still doesn’t work. I don’t want to revert to the preious operating system of 8.1 if I don’t have to. Please help. In this situation, the best solution would be for Microsoft to officially acknowledge the issue and push out a hotfix as soon as possible. This is not the first time users have reported severe issues after they installed the Anniversary Update. Some users have been luckier, managing to install all three cumulative updates — but soon finding out these updates break the Start Menu and Cortana. We’ll keep on searching for a fix to help you install KB3176493, and we’ll update this article as soon as possible.